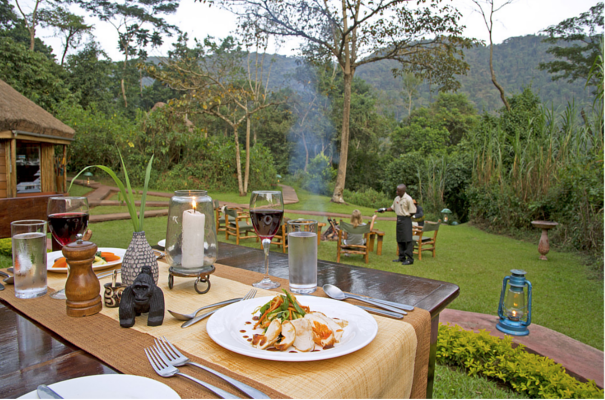 Sanctuary Gorilla Forest Camp Bwindi is probably the most luxurious and comfortable accommodation and lodging facitlity in the Buhoma area of Bwindi National park located about 500m from the park gate. The Lodge has secluded self-contained walk-in twin tents that are protected beneath a thutch roof extending over a private deck, while meals and drinks are served in an organically decorated open-sided common area. Mountain Gorillas, a good number of birds and monkeys occassionaly pass through the grounds sometimes..